Amazon Indians in Peru have demanded the expulsion of a controversial Italian priest, accusing him of ‘racism and aggression’ over his role in promoting the construction of a new road, which the Indians have labeled ‘the Road of Death’. Father Miguel Piovesan, parish priest of the tiny town of Puerto Esperanza in Peru’s far south-east, has recruited a host of powerful allies to back his plan to connect the town to Peru’s road network, including influential Congressmen. But the region’s indigenous people are firmly opposed, fearing that if built, the road would open up the area to illegal logging and goldmining, already rampant in the region. 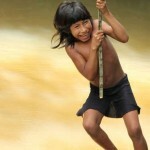 The road would cut through three protected areas established to safeguard the province’s numerous uncontacted tribes. Local Indian organization FECONAPU has called for Piovesan’s expulsion from the region for his ‘aggressive’ promotion of the road project, declaring, ‘Piovesan is using his magazine and radio broadcasts to label us pigs and worms, who don’t know how to think’. Piovesan routinely attacks any form of opposition on his radio station, accusing the local Indians of being ‘brainwashed’ by ‘foreign organizations’ including Survival International, who he has charged with ‘financing local [indigenous] NGOs’. 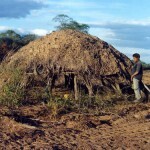 In fact, Survival does not fund any organization in Peru. Peru’s Amazon Indian organization, AIDESEP, insists the road project is a ploy ‘to benefit illegal logging mafias’. 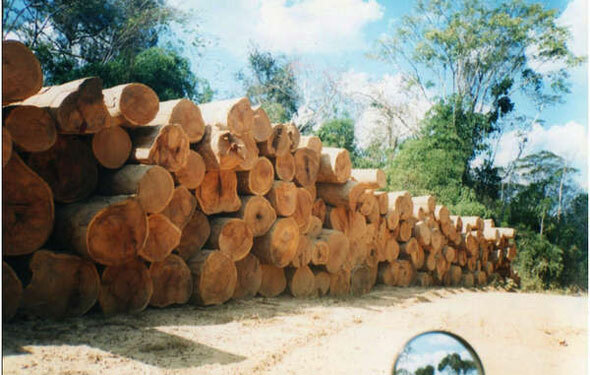 Survival has seen disturbing evidence that illegal logging has already started along the projected path of the road. Amazon Indian organization Fenamad said last week, ‘If the road project goes ahead it could lead to the extinction of the uncontacted peoples’. Father Piovesan is pressing Peru’s Congress to pass a law declaring the road a ‘public necessity’ to enable it to go ahead.